Solar power is the cleanest and most practical form of renewable energy available. It can be used to generate electricity or to heat hot water tanks and swimming pools. The technology is improving every year, making solar power systems smaller and more efficient. Solar energy is collected using solar panels, where radiant heat is converted into energy to produce electricity. A solar power system consists of solar panels, inverters, batteries, and a charge controller. Solar panels are connected assemblies of several photovoltaic cells. Each individual cell is coated with a positive and negative layer to create an electric field. As photons, or sunlight energy particles, from the sun enter a cell they allow the electrons in each cell to become free. The free electrons flow through a wire that is connected to the photovoltaic cell, and thus this flow of electrons becomes electricity. The most important part when installing solar panels is to arrange them at the proper angles for maximum solar exposure. A solar power inverter is an electrical device that changes direct current (DC) from the photovoltaic cells into alternating current (AC) that is used in a home or building. A solar inverter can be fed directly into an electrical grid or connected to the photovoltaic system. Solar inverters can work with transformers and control circuits to get any desired voltage and frequency. Solar power batteries store energy that is harvested from solar panels. This energy can be used at night or when energy from the sun is not available. Lead-acid batteries offer the best performance and are the ones most commonly used in solar power systems because of their relative good efficiency for the price. A collection of batteries used for you solar system is called a battery bank. A battery bank should be sized to be capable of storing power for 5 days of operation without the solar panels receiving any sunlight. A solar power charge controller is used to prolong the life of the battery bank. It accomplishes this by preventing the battery from overcharging. The controller monitors the battery voltage and it reduces the current when the voltage increases. When the voltage drops, the controller allows the current to increase so that it can charge the battery again. Controllers are selected by how much current they can handle and it is a good idea to select an over-sized controller to allow for future expansions of your photovoltaic system. You can get details on the cost of a complete, grid-tied, solar PV system, with rebates included, by clicking here. They make it really easy to understand how much a PV system for your house would cost and how to set it up depending on your location. 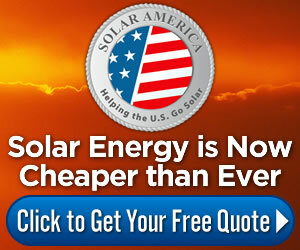 In addition, you can get federal aid and tax credits that reward you for buying solar panels. Solar power systems are becoming more available to the public due to technological advances and greater efficiency in all of its systems components. The solar energy we collect from is free and it is something that we should strive to take advantage of since it is something that will cut down our electricity bills and help to save the planet. You can also use our solar cost calculator to determine if a solar power system is right for your home.